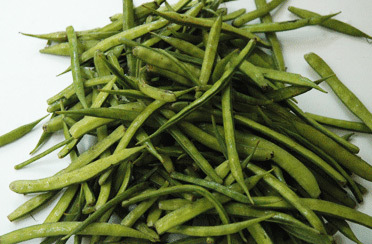 Guar gum is naturally sourced and originates from the seed of guar beans (notice the name similarity). After husking, milling, and screening guar beans, you’re left with just guar endosperm, which is nutritious material surrounding the embryo. Grind that endosperm up and you’ve got yourself a fine powder. How is guar gum used in food? As an additive, guar gum is primarily used as a thickening agent, like xanthan gum. As an emulsifier, guar gum prevents the separation of oil and water, and as a stabilizer, guar gum keeps solid particles from settling (both emulsifying and stabilizing are properties of thickening agents). 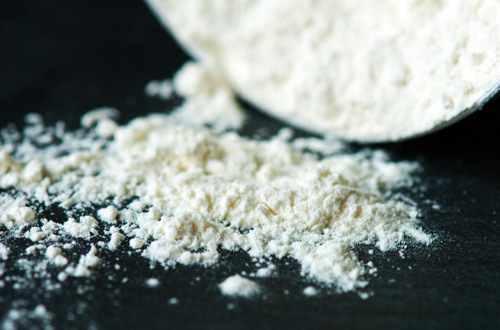 Guar gum has an interesting use outside of food. In medication, guar gum is added to swallowed pills to control drug timing release. You may also find it in medication that’s targeted toward the ileum and large intestine, as bacterial flora in those ares of your digestive system have been noted to degrade guar gum very rapidly. Where would I find guar gum? Guar gum shows up on the ingredient label of many dairy products, particularly ice cream. Actually, in ice cream, guar gum is acting to maintain that smooth, soft texture. You may also see guar gum hanging out in baked goods and dressings. Are there any health impacts of guar gum? Guar gum has been loosely identified as a beneficial ingredient thanks to its action during digestion. For example, guar gum may reduce cholesterol and glucose absorption (though not significantly when you are consuming the small amount in ice cream). When should I avoid guar gum? 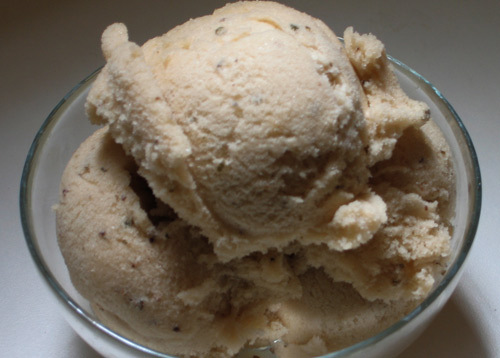 When guar gum is primarily being used to achieve texture (like ice cream), it’s okay. When guar gum is being used to accomplish more than nature typically allows, like extending dough yield (bread), you’re probably looking at a product whose manufacturers wanted to save a dime by cutting corners. I’m personally suspicious when I see guar gum on a label outside the frozen dairy section.